All content included in this site, including but not limited to text, design, logos, icons, images, graphics or code is the property of 710wholesalesupplies.com. Site content can only be used for shopping and placing an order. No content may be copied, modified, reproduced, uploaded, posted, transmitted, or distributed in any form without prior written permission. Any unauthorized use of site contents may violate copyright, trademark, and other laws and could result in criminal and/or civil penalties. Any dispute relating to any activity conducted on 710wholesalesupplies.com or with products purchased through this site shall be resolved through confidential arbitration in the State of California. Any violation of intellectual property rights may require injunctive or other relief in any state or federal court in the State of California, and you consent to exclusive jurisdiction and venue in such courts. Our products are to be used for legal purposes only. You must adhere to local, state, and federal laws and regulations when using our site or products. Any suspicious fraudulent activity will be reported to the appropriate authorities. We will cancel any transactions we suspect to be fraudulent. We will charge and withhold applicable sales tax for orders delivered to California addresses. We accept Visa, MasterCard, Discover and American Express. We do not charge a surcharge for using your credit card to purchase products. Please ensure to provide an accurate and complete billing address and phone number according to your credit card bank as incorrect information will cause delays in processing and shipping your order. Your credit card will be billed once you submit your order. By purchasing products on 710wholesalesupplies.com, you certify you are at least 18 years of age and of the legal smoking age of your state of residence. We are required by law to prevent sales of our products to anyone under the legal age. We utilize verification services to perform age verification. We reserve the right to ask, at any time, any identification necessary to verify your age. Information requested may include but is not limited to identification card, signed authorizations, SSN, and date of birth. We reserve the right to utilize verification services from a third party. Refusal to provide requested information to verify age will result in order cancellation. We reserve the right at any time to accept, modify (including supplying less than the quantity ordered), or cancel an order for any reason. This site and products on this site are provided “as is” and without warranties of any kind, whether express or implied. To the fullest extent permissible pursuant to applicable law, 710wholesalesupplies.com disclaims all warranties, express or implied, including, but not limited to, implied warranties of merchantability and fitness for a particular purpose. We do not represent or warrant that all functions contained in the site will be uninterrupted or error-free, defects will be corrected, or this site or server are free of viruses or other harmful components. We do not make any warranties or representations regarding the use of the materials in this site in terms of their accuracy, completeness, usefulness, timeliness, or reliability. We are not liable for any damages arising from the use of any products, this site, or any information, materials, products, or services made available through this site including but not limited to direct, indirect, incidental, punitive, and consequential damages. By using this site and purchasing our products, you agree that you are at your own risk. Some states do not permit limitations or exclusions on warranties, so the above limitations may not apply to you. 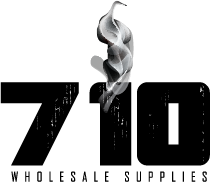 No claims regarding safety, health benefits, or uses for products are stated by 710wholesalesupplies.com. We are not liable for any illness, injury, damage, or financial loss caused by the proper or improper use of our products or inability to use products purchased. By purchasing through our site, you assume full risk and all liabilities resulting from using all products. We reserve the right to refuse or cancel any orders placed for product listed at an incorrect price whether or not the order has been processed and your credit card charged. If your credit card has been charged for the purchase and your order is cancelled, we will refund your credit card. These terms are applicable to you upon accessing the site for any reason. Terms and site content may be modified by 710wholesalesupplies.com without notice at any time, for any reason. We may deliver notices to you by e-mail, a general notice on the site, or by other reasonable methods based on information you have provided. This site may contain links to other websites independently owned and operated by third parties. We are not responsible for the operation or content located on any third-party site. Third party sites have their own privacy policies. You are responsible for maintaining restrictive access to and confidentiality of your account and password. You are responsible for all activities that occur under your account. You agree that any delivery confirmation provided by the courier you selected is deemed sufficient as proof of delivery. Unauthorized or abuse of any part of this site by any means, including obscene or abusive language, is prohibited. Impersonation of 710wholesalesupplies.com, its employees, or representative, as well as other members or visitors on the site is prohibited. You may not upload to, distribute, or publish through the site any content which is libelous, defamatory, obscene, threatening, invasive of privacy or publicity rights, abusive, illegal, or otherwise objectionable which may constitute or encourage a criminal offense, violate the rights of any party or which may otherwise give rise to liability or violate any law. You may not upload any solicitations or commercial content. Upon violation, your 710wholesalesupplies.com account will be terminated and you will not be permitted to engage in any activity within this site, continue to receive communications from 710wholesalesupplies.com, create a new account, or purchase our products. You agree to indemnify, defend, and hold harmless 710wholesalesupplies.com, its officers, directors, employees, agents, licensors, and suppliers from and against all losses, expenses, damages, and costs, including reasonable attorneys’ fees, resulting from any violation of these terms or any activity related to your account or the 710wholesalesupplies.com site by you or any other person. 710wholesalesupplies.com is not liable for any use or misuse of products or damages to persons or property from chargers, batteries, atomizers, or any other electronics used with such products. We do not warranty any lithium batteries or any other rechargeable batteries whatsoever either separated or contained within products other than the battery working correctly upon initial charge. Use lithium and rechargeable batteries and any other products containing such batteries at your own risk. Product images are for illustration purposes only and may not depict the actual product purchased. Actual product colors may vary depending on screen resolution and lighting.  Must be 18 years or older and of legal smoking age within your state of residence to purchase items for tobacco use. Products may be poisonous if orally ingested. Products are not intended for pregnant or nursing women, children, people with or at risk of heart disease, high blood pressure, diabetes, asthma, or those who are sensitive to nicotine, propylene glycol, or vegetable glycerin. Please consult your physician before use. If you experience side effects, stop using the product immediately and contact your physician. Keep out of reach of children and pets. Products sold on this site are not smoking cessation products and have not been evaluated by the United States Food and Drug Administration. Products are not intended to treat, diagnose, prevent, or cure any disease or condition. By purchasing products, you agree to assume all liabilities for any injury or damages that may result in their use. Use all products at your own risk. When you register on the site, place an order, enter a promotion, respond to a survey or communication, or participate in another site feature, information you enter is collected. We may ask for your name, e-mail address, mailing address, phone number, credit card information or other information to process transactions or requests. We collect personal information only if voluntarily provided. You have the right to refuse to provide personal information, however it may prevent you from engaging in certain activities. You may visit our site anonymously. We protect your information from unauthorized access by implementing security measures. When you place an order or access your account, the data is transmitted via Secure Socket Layer (SSL) technology and encrypted into our database. We do not provide outside parties with your personal identifiable information unless we provide you advance notice. Outside parties do not include those assisting us in operating our website or business and must agree to keep your information confidential. We may also release your information to comply and/or enforce the law, litigation, policies, or protect rights, property, or safety. Non-personal identifiable information may be provided to parties for marketing, advertising, or other uses. You can modify email preferences within “My Account” including opting out of email communications. You still may receive communications in transit or production. You can delete your account information by deleting your address and payment information. We do maintain individual sales transactions to support business records. Additionally, although the original version of information contained within your account may be retained in our records, you can modify your account information at any time. We may include third party links on our site. Linked sites have their own separate privacy policies. We are not responsible or liable for the content and activities of linked sites. We offer free shipping for orders over $20. To qualify for free shipping, the value of the items in your shopping cart must equal $20 or more after discounts and before tax (for California residents). We are well known for fast processing and shipping; it’s one of our company goals. All orders are typically shipped within 24-48 hours of orders being placed, except for weekends and holidays. Depending on the volume of orders, some orders may be shipped the same day. We offer ground and express shipping, depending on availability and your selection at checkout. Shipping costs are dependent on your selection, size and weight of the package, and your geographical location. Unless you opt for expedited shipping, 5-7 days is the norm for delivery. For shipments to AK, HI, and military addresses, shipping can take up to 2 weeks. Once your order is placed, we will send you a confirmation email. When your order ships, you will receive an email containing the tracking information. We ship to all 50 states in the U.S., Guam, U.S. Virgin Islands, Puerto Rico, and APO/FPO/DPO/Other military addresses. FEDEX® does not ship to P.O Boxes or military addresses. All orders are shipped from Laguna Beach, California 92651. We are not currently shipping internationally. We do not ship to a P.O. Box if a signature is required or requested. To prevent fraudulent transactions, orders of $300 or more will be shipped to the cardholder’s verified billing address. If we are unable to verify this address, the order will be cancelled without notice. Orders of $200 or more are shipped with signature confirmation. We have quality control processes in place to ensure our website inventory is accurate. However, if your order contains an item that is out of stock or on backorder, the rest of the order will be shipped and we will contact you. You will have the option of cancelling, substituting, or waiting for the item to become available again. If you are missing or have incorrect products shipped to you, contact us within 72 hours of delivery at (714) 661-9752 or email 710wholesalesupplies@gmail.com with your order number and packing slip information. Once reviewed, missing items will be shipped. A return label will be provided for incorrectly shipped products. We do not guarantee transit times and shipping fees are nonrefundable through 710wholesalesupplies.com. Weather delays and failed delivery attempts can cause delays. All delivery issues should be addressed with the courier directly. Delays and delivery errors caused by couriers are out of our control and therefore we are not responsible. Errors in the shipping address submitted during order placement will cause delays in transit times or returned orders. We will not reship the order until it is returned to us by the courier and you have paid for the cost to reship the order. If you receive damaged products as a result of shipping, you must contact us at (714) 661-9752 or email 710wholesalesupplies@gmail.com within 48 hours of delivery. We may request a picture of the product packaging prior to mailing the products back. Once your claim has been submitted, reviewed, and approved, we will ship a replacement product. If you do not contact us within 48 hours of delivery, you must file a claim with the courier. Shipping cost are non-refundable. You are responsible for shipping costs in returning products and we are responsible for shipping costs to you. All replacement, exchanged, and repaired products are shipped USPS first class. We recommend using delivery confirmation and shipment tracking when shipping packages to us. We are required by law to ensure all customers are at least 18 years of age and meet the legal smoking age of the state in which they reside. Therefore, we must verify age prior to shipping orders. Once the age verification is complete, we will continue processing your order. If we are unable to verify your age, we will contact you for further verification or will ship your order with adult signature required service (requiring an adult 21 years of age with a government issued ID to sign for the package). You will be charged any additional costs associated with adult signature required service. We reserve the right to refuse or cancel any orders without notice. Please inspect all products as they arrive for defects or damages. Products (except for cartridges, cartomizers, coils, atomizers, E-liquid, batteries, clearance products, and those specifically stated within the product description), carry a 14-day warranty against manufacturer defects and damage only. Manufacturers may carry additional warranty from the date of our original purchase from them. We can assist with contacting the manufacturer for warranties beyond our warranty period. Warranty does not include use of the product not intended by the manufacturer, damage caused by user error or using incompatible accessories, or liquid not purchased from 710wholesalesupplies.com. The warranty begins on the day the product is delivered. Cosmetic defects such as scratches and discoloration are not covered by warranty. Depending on the reason for return, we may request pictures of products prior to sending the items back. We may also communicate troubleshooting steps to save time and costs of unnecessary returns. If you would like to file a warranty claim, please contact us by phone: (714) 661-9752 or by email: 710wholesalesupplies@gmail.com. Please provide the order number, packing slip information, and reason for the return. If approved, you will receive further directions on shipping the product back to us. Replacements are shipped only after the original product is received back to us. Refunds will be processed within 10 business days of receiving the products. Refund amounts will be issued to the same card number that was used to purchase the product. We are not responsible if the cardholder no longer has possession of the card or the account has been closed. When returning products, include a copy of the original packing slip. Please ensure the packaging is sufficient to ensure successful return of products. Poor repackaging could result in refusal of your return and loss of any refund or replacement item. Do not return products in the original envelope, this is not sufficient packaging and can cause items to be lost in the mail. Padded envelopes are preferred. We reserve the right to refuse a refund or warranty claim due to unsatisfactory return of the product or unsubstantiated claims. Shipping cost are non-refundable. You are responsible for shipping costs in returning products and we are responsible for shipping costs to customers. All replacement, exchanged, and repaired products are shipped USPS first class. We recommend using delivery confirmation and shipment tracking when shipping packages to us. Your package must be postmarked within 5 business days of receiving your return request. We do not guarantee products are compatible with those of other manufacturers or suppliers. Order cancellation requests must be submitted immediately via email to 710wholesalesupplies@gmail.com. Once the order has been shipped, we will not be able to cancel your order. We accept returns on un-opened and un-used products up to 14 days from the date of delivery. Items must be in brand-new, re-sellable condition. We reserve the right to refuse any returns that do not meet these requirements. If you would like to return a product for exchange, replacement, or refund, please contact us by phone: (714) 661-9752 or by email: 710wholesalesupplies@gmail.com. Please provide the order number, packing slip information, and reason for the return. If approved, you will receive further directions on shipping the product back to us. Refunds will be processed within 10 business days of receiving the items in satisfactory condition. Refund amounts will be issued to the same card number that was used to purchase the product. We are not responsible if the cardholder no longer has possession of the card or the account has been closed. If a promotional item included in the original package is not returned, the value of the promotional item will be deducted from the refund amount. Shipping cost are non-refundable. You are responsible for shipping costs in returning products and we responsible for shipping costs to you. All replacement, exchanged, and repaired products are shipped USPS first class. We recommend using delivery confirmation and shipment tracking when shipping packages to us. When returning products, include a copy of the original packing slip. Please ensure the packaging is sufficient to ensure successful return of undamaged products. Poor repackaging or the return of damaged merchandise could result in refusal of your return and loss of any refund or replacement item. Products must not have been used or damaged. Do not return products in the original envelop, this is not sufficient packaging and can cause items to be lost in the mail. Padded envelopes are preferred. Your package must be postmarked within 5 business days of receiving your return request. Typographical errors may occur with our product descriptions and/or manufacturers might update information we are unaware of. We reserve the right to correct inaccurate information and are not responsible for typographical errors. 30(b), 2(4 of Directive 2014/40/EU and other relevant law.